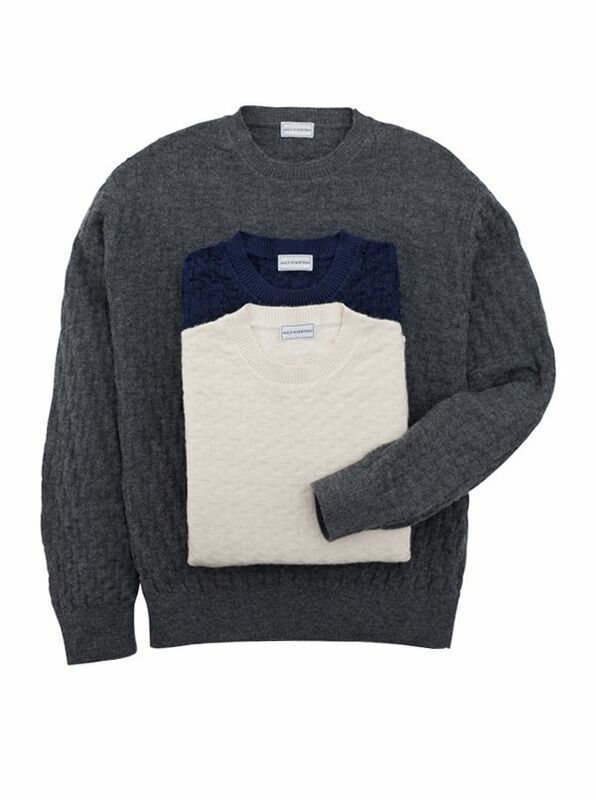 Mills Basketweave Alpaca Crewnecks are knitted of Royal Baby Alpaca, the rarest and most prized grade of alpaca. Soft, comfortable, resilient, knitted in Peru in tonal basketweave stitch. With ribbed collar, cuffs and waist.